We’ve said it before – SUP is growing: fast! When the sport really started to take off around 2008 there were around 20 brands on offer. In 2016 there were close to 200 brands – and that’s not counting all the garage or warehouse manufacturers with their own private labels. 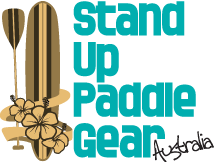 At SUP Gear Australia we have longstanding relationships with the best wholesalers and manufacturers in the business. It’s our goal to get the best possible price for you – our customers and SUP-lovin’ mates – so we work hard to maintain those relationships through ethical business practices and great customer service. With so many brands to choose from, you are unlikely to be able to do all the research yourself, to be sure you’re getting the best value, the best fit for your needs and the best quality. That’s what we’re here for! We do the research, we know the market and we are more than willing to pass our knowledge on to you.